This comes as no surprise to us, Karl-Anthony Towns has been number one on our board for at least a few months already. It’s not that Jahlil Okafor won’t be a good NBA player, his low-post moves are incredibly impressive. The last big man to have these type of offensive post moves coming out of college is Tim Duncan. But there are just growing concerns about his defense. Too many times Okafor was caught watching an opposing player go in for an easy two. His isolation defense is below average on the college level. What is it going to be like at the NBA level? And his poor free throw shooting is a concern, not just at the line but for his ability to extend his game beyond ten feet. 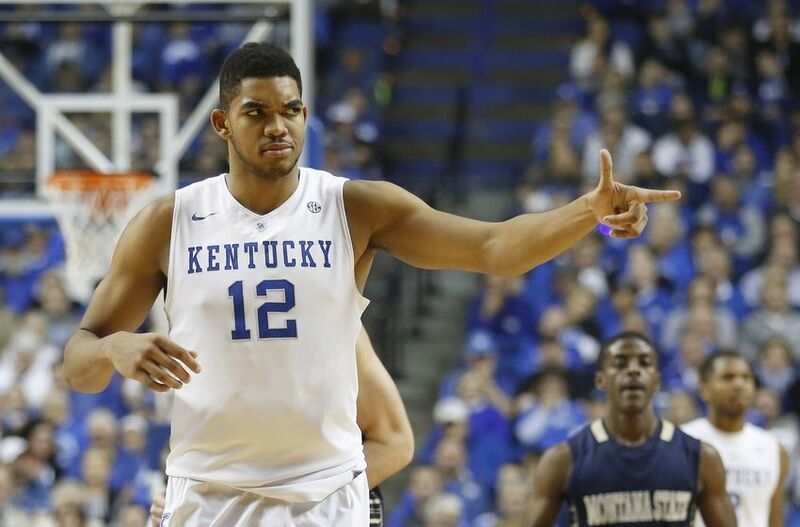 Towns is the complete opposite in that respect. His shooting touch for a big man is extremely impressive. In high school he loved to pull-up and shoot from the outside. Even from beyond the three-point line. And his defense is not a question at all. One part of his game that does have some question is his ability to score in the low-post. He showed improvement throughout his freshman season at Kentucky in that area. And I think that’s a portion of his game that will continue to grow. And apparently so do 28 of the 30 teams in the league.